A bomb squad has been investigating within a Dalkeith home after a number of suspicious items were discovered. 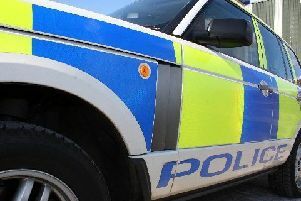 A 19-year-old man, who initially had been taken to hospital with serious injuries, has now been arrested in connection with breaching the peace and assaulting a police officer. But when officers entered the property they discovered a number of items inside which caused concern. A police spokesman said: “Police in Midlothian were called to an address in the Elmfield Park area of Dalkeith at around 2.10pm on Tuesday 20 November by the Scottish Ambulance Service following a concern for a person within.